Bringing Hello!Lucky’s sunny and punny illustrations online is one of our happiest achievements. We now get to celebrate yet another new medium for their genius: children’s books! On the eve of their newest release, My Mom is Magical, and its sequel, My Dad is Amazing, we spoke to Eunice and Sabrina Moyle, the sister act behind Hello!Lucky. 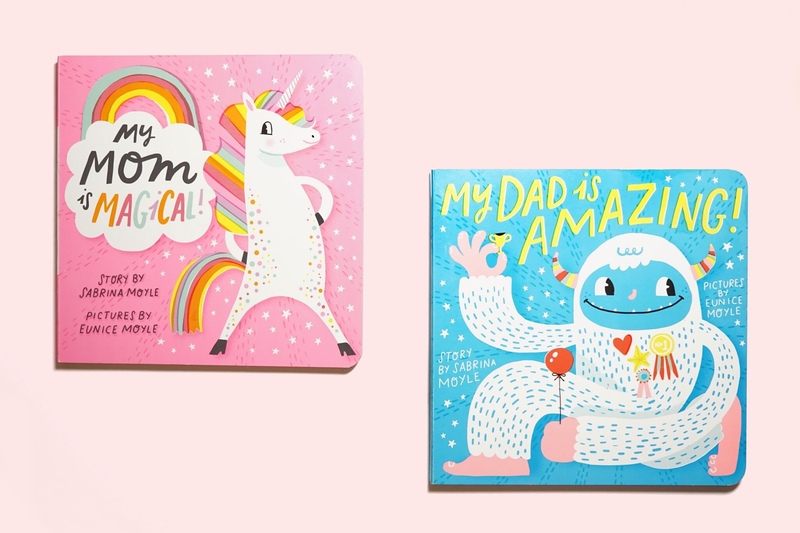 We asked about their favorite children’s books (other than their own, of course) and the artistry behind their adorable and exuberant world. What made you want to create kids books? How did you come up with the characters (especially the yeti)? 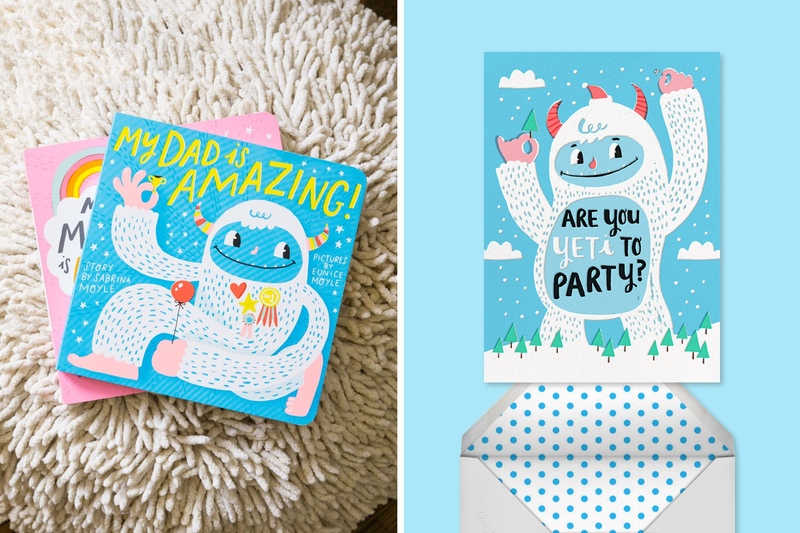 The yeti was inspired by a Father’s Day card idea. We wanted to write a card that said “Dad, You’re Unbelievable!” and were looking for unbelievable things that could illustrate the point. A yeti popped into our minds and the card was born! Our editor at Abrams loved the card so much that she asked us to pitch a children’s book based on it, so we wrote Dad, You’re Unbelievable. Mom, You’re Magical was a natural companion. We are so excited by how these two books turned out and have many more in store! We used the same yeti for our Paperless Post “Yeti to Party” invite, because we just can’t get enough of him :). What are some particularly fun stories you remember from childhood—did you two ever get up to hijinx together as siblings? Ha! Too many to count! We were entrepreneurs from an early age. Our mom was a fashionista and an Avon salesperson, and we used to borrow her costume jewelry and makeup samples and set up shop in the spare room. She and our grandmother would graciously buy back their belongings. Our dad, on the other hand, is a jokester and would, with a straight face ask, to buy store fixtures that were absolutely not on sale, like a ballpoint pen—it certainly taught us that different customers have different tastes! 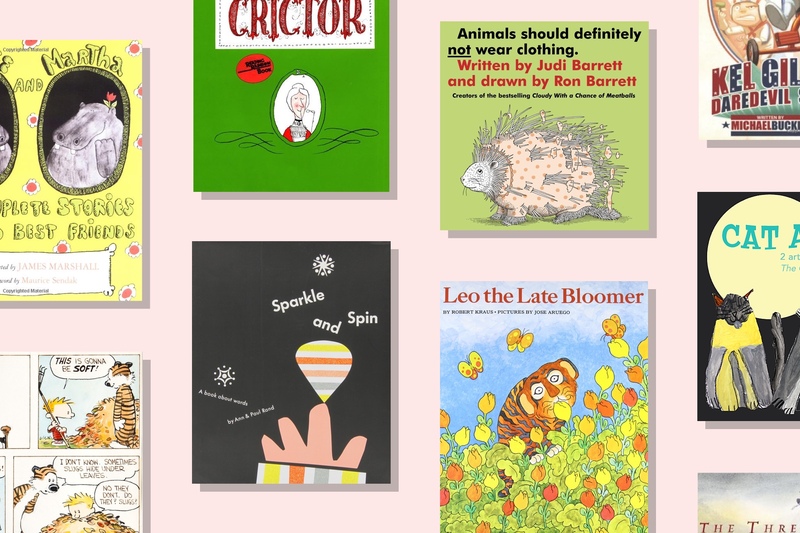 What are your favorite kids’ books? and the Calvin and Hobbes comics by Bill Watterson. 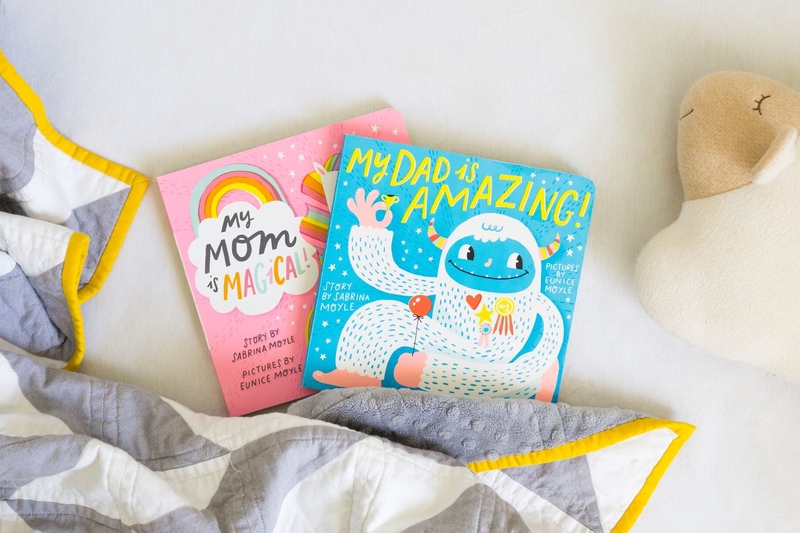 Parent-designed, kid-approved: Hello!Lucky’s illustrations are great in a book and even better on an invitation or greeting card.